Is This Why Deutsche Bank Is Crashing (Again)? Deutsche's dead-bank-bounce is over. The last few days have seen shares of the 'most systemically dangerous bank in the world' plunge almost 20%, back to record lows as the DoJ fine demands reawoken reality that the €42 trillion-dollar-derivative-book bank is severely under-capitalized no matter how you spin asset values. Deutsche Bank’s notional derivatives book had huge swings in notional value between its year-end 2014 report and its “passion to perform” year-end 2015 report. Deutsche Bank did not list the notional value of its derivatives book in its 2016 Quarterly Report. The bank would like us to take it on faith, that the positive value of its derivatives book is €615 billion while the net positive value of its book is around around €18 billion. There’s just one little problem: the market believes something is wrong. What is it? Derivatives or something else? I’m investigating changes in Deutsche Bank’s derivatives book. At 2014 year end, DB had derivatives which notional value was €52 trillion. The positive value was around €630 billion. 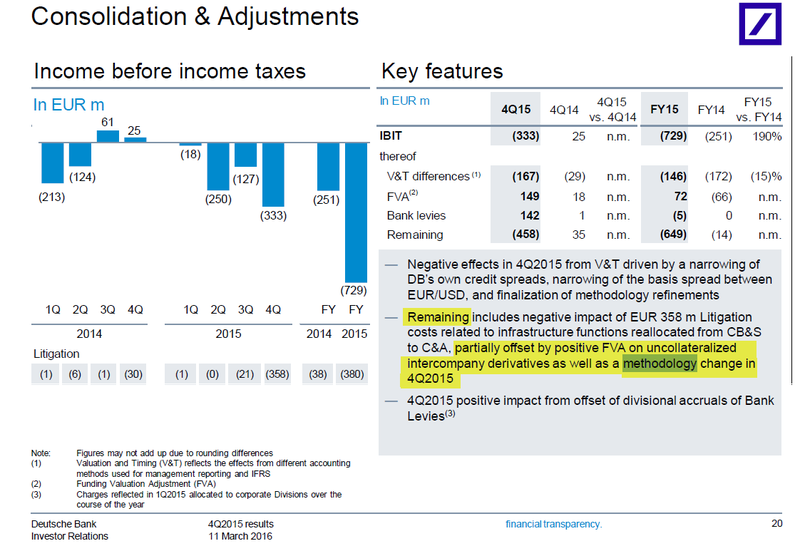 At 2015 year end, DB had derivatives which notional value was €42 trillion. The positive value was around €515 billion on total assets of €1.629 trillion. So during 2015 derivatives exposure (notional) was reduced by €10 trillion or 19%. As of June 30th 2016, DB does not give a number for notional value but the positive value has again increased to €615 billion. Total assets are €1.8 trillion. Meanwhile the the net positive value of DBs derivatives portfolio is stable around €18 billion. It is possible that DBs derivatives portfolio has increased in value by €100 billion, roughly 19% in 6 months without the notional amount going up correspondingly? Did DB offload €10 trillion worth of notional derivatives before year end 2015 only to pad it back later? 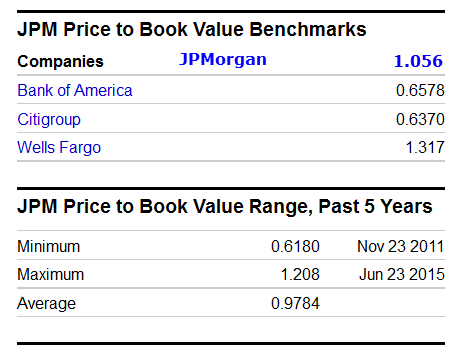 Book equity is €67 billion but it’s trading at a 75% discount. The market values DB at €16.5 billion. Tier 1 bond holders say pretty much the same thing. Bonds sell at a 22% discount to par. I was involved in a three-way email conversation on Deutsche Bank with Lars and Egon von Greyerz at Matterhorn Asset Management AG. I would not be surprised if they are moving balance sheet risk to derivatives. This is a very common trick to reduce official exposure. Greece did this with the help of Goldman Sachs. Share price confirms something is seriously wrong. I saw the “Big Short” for the second time on Saturday. It’s a great film. I told my wife that what happened in 2007-2009 is a walk in the park compared to what we will see next. It’s only a question of when. Still only 0.5% of world financial assets are insured in the form of physical gold. Investors think that trees will continue to grow to heaven. What a shock they will get. I dove into Deutsche Bank’s 4Q/FY2015 Presentation which contained these statements on various pages. Continued strong de-leveraging in the quarter of EUR 44 billion on an FX neutral basis, principally in derivatives. Full year 2015 de-leveraging of EUR ~130 billion on an FX neutral basis. Equity Derivatives significantly lower y-o-y driven by lower client activity exacerbated by challenging risk management in certain areas. Lower loan loss provisions reflecting portfolio quality and the benign economic environment. Despite adverse FX impact, non-interest expenses decreased mainly due to lower litigation and performance-related expenses. De-risking activity was the main driver of Balance Sheet reductions in 4Q2015. Income before income taxes (IBIT) does not look pretty, to say the least. And what’s with these accounting methodology changes? Lower loan loss provisions? In this environment? I do not know if the problem is derivatives, the eurozone mess, negative interest rates, counter-party risk, or some combination of the above, but the above images collectively say something is seriously wrong, not only with Deutsche Bank, but the European banking system in general.